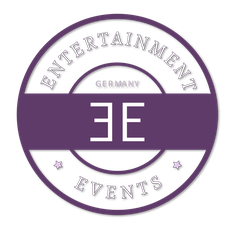 The Convention is going to be held in the Bremen Fair. 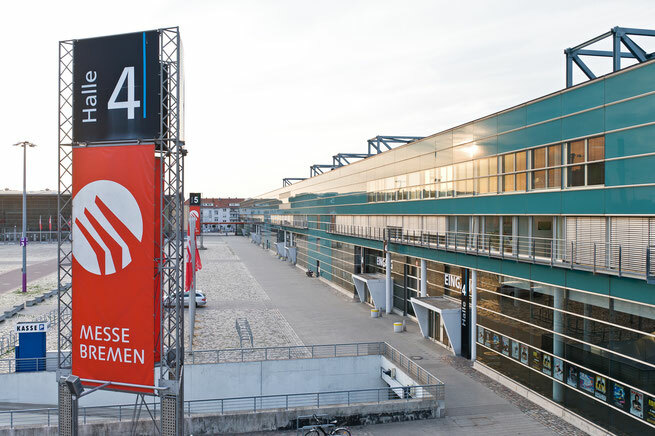 You can reach the fair very well with public Transportation, by car and by airplane. 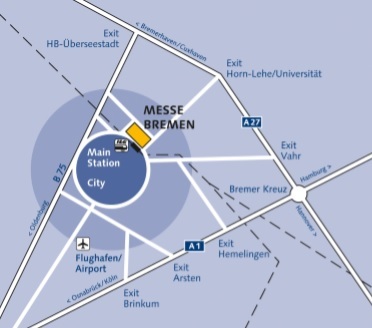 The Bremen Main Train Station is in walking distance and the Airport is also only a few kilometers away. There also is a very good connection to the highway. Only 10 minutes from the motorway exit to the exhibition car park or the open-air site with 2,500 parking bays. For the car park "Bürgerweide" please enter “Theodor-Heuss-Allee, 28215 Bremen” into your navigation system. For the multi-storey car park please enter "Hollerallee 99, 28215 Bremen" into your navigation system. Nonstop-flights from numerous major European cities. There are more than 2,500 parking spaces at the Bremen fair. Additional 300 parking spaces are available in the car park of the Bermen fair. 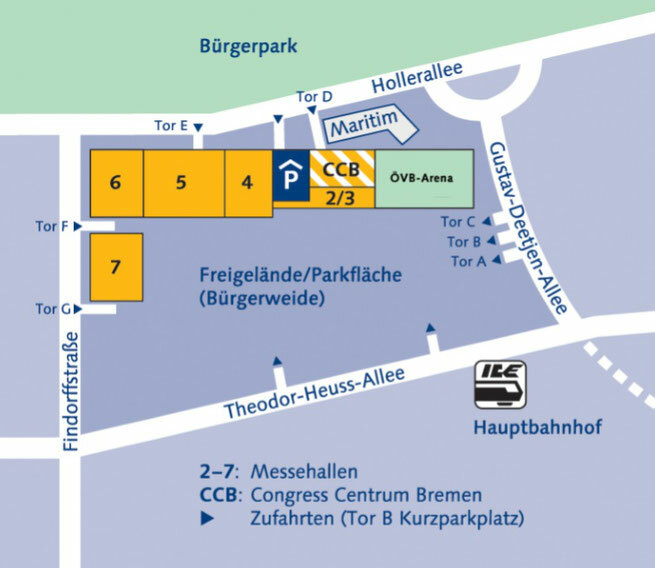 Disabled parking spaces are available right in front of the entrance to the parking space "Bürgerweide" or in the additional car park.